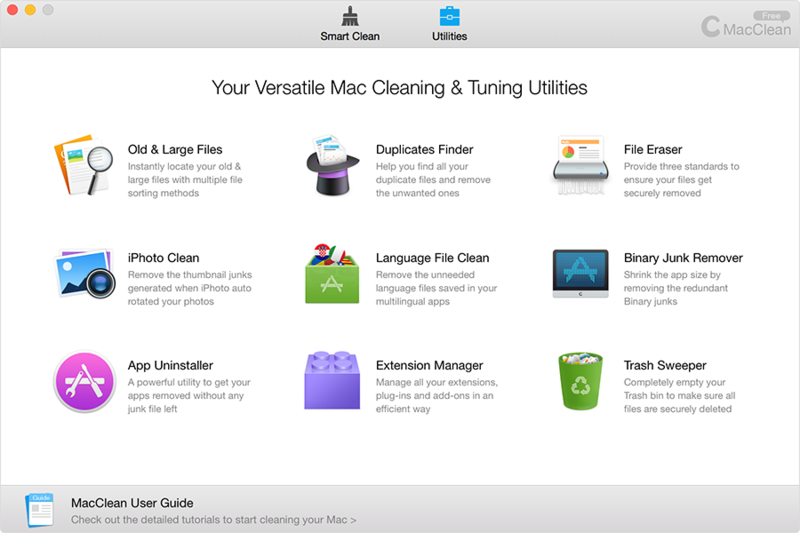 MacClean is a Mac cleaning and managing tool. It offers simple solutions for you to clean the accumulated junks and tune up performance on you Mac. With a few steps, you can feel the easiness of using this Mac cleaner software and the optimization effect it brings to your Mac. 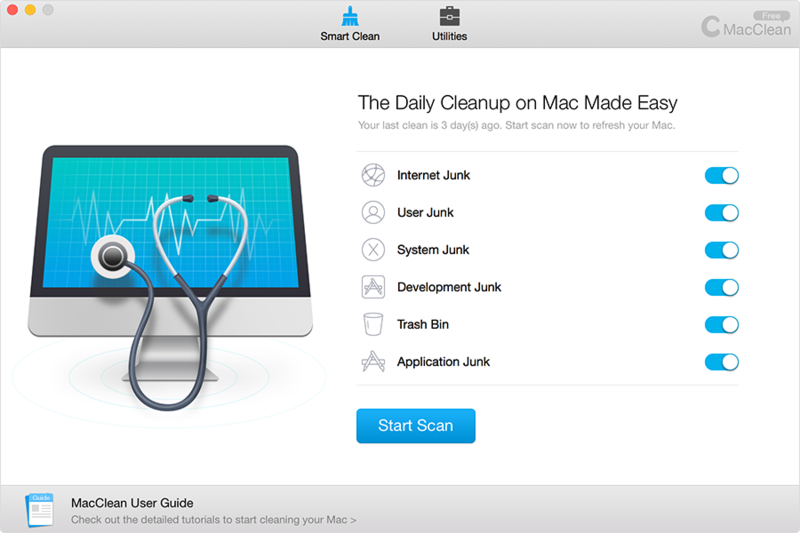 Please download and install MacClean on your Mac first. You can choose your preferred language to get started when you use it at the first time. Now MacClean speaks English, Japanese, German, French, Spanish. 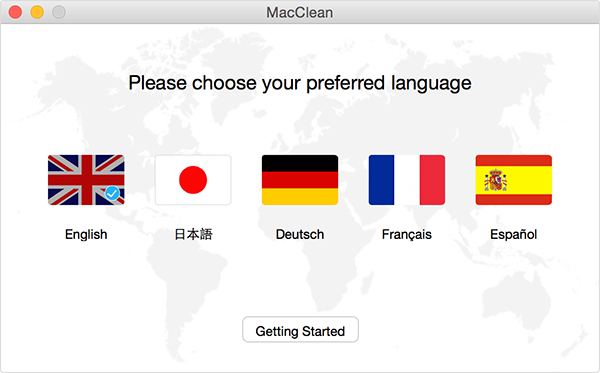 The language selection window will pop up automatically when you run MacClean at the first time. It won't show up again unless you change the language manually (this option is available in the Menu bar). Then, you will view the main interface of MacClean.